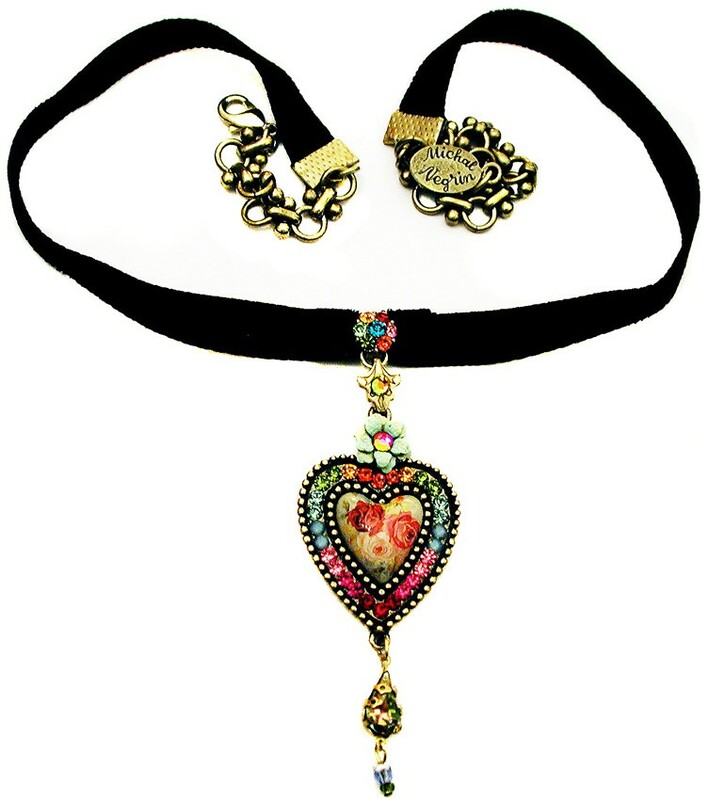 Michal Negrin velvet choker. 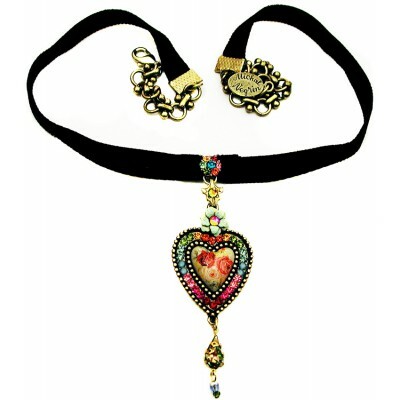 With a Victorian Roses cabochon Heart cameo, multicolor sparkling Swarovski crystals and a light green painted flower. The pendant measures 2 1/2 inches high. The choker length is adjustable.